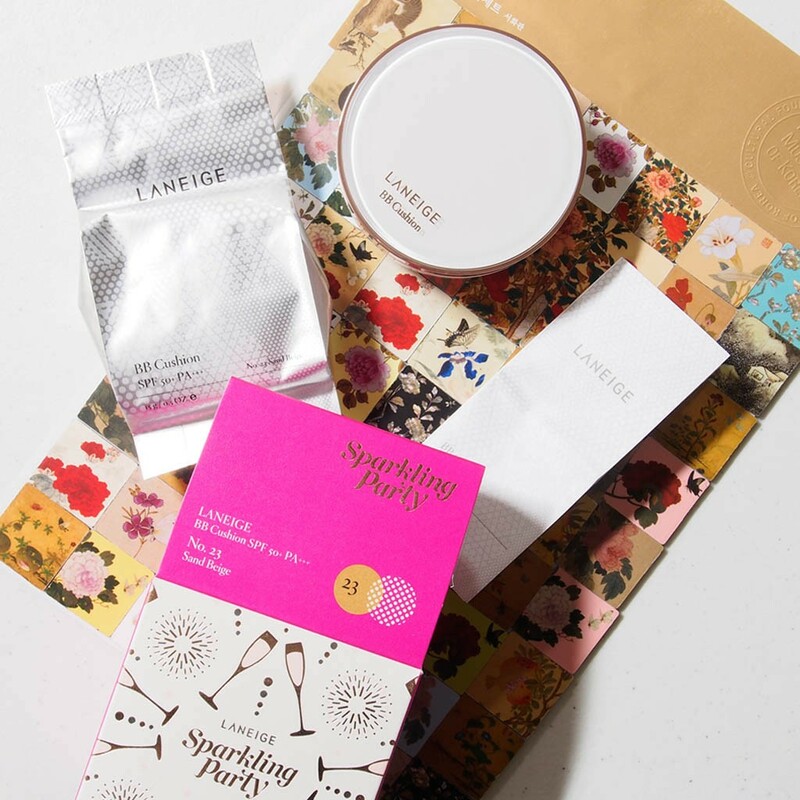 I only allowed myself to get the Laneige BB Cushion SPF 50+ PA+++ in the Sparkling Party Limited Edition Rose Gold Packaging not because of the packaging (but really I love the rose gold compact!) but because my Laura Mercier Tinted Moisturizer Creme Compact was nearly running out and I was debating with myself on whether I will get a new one or not. The LMTMCC was my HG base for 2014 and it only lasted that long because I hit pan within three months and I didn’t want to run out of it immediately that I tried out different bases for the rest of the year. But the LMTMCC remained as my go-to for effortless and minimal base for days when well, I just wanted a really, really natural finish (or when I was just really, really lazy; quite interchangeable these two states are). I doubt that it gave me the proper coverage I need in real life but I like seeing my skin through my base. I decided to give the Laneige BB Cushion a try and it’s been over a month now. Inside the box was the compact with its sealed “cushion-type BB”, the “cushiony soothing cushion puff”, an extra refill, and an info sheet. 02. Strong Sunscreen Effect | Its SPF 50+ PA+++ formula blocks UV rays even under strong sunlight. 03. Long-lasting Makeup | High molecules strong against sweat and sebum form a network to form an elastic barrier on the surface of makeup to hold makeup and UV screen on for a long time. 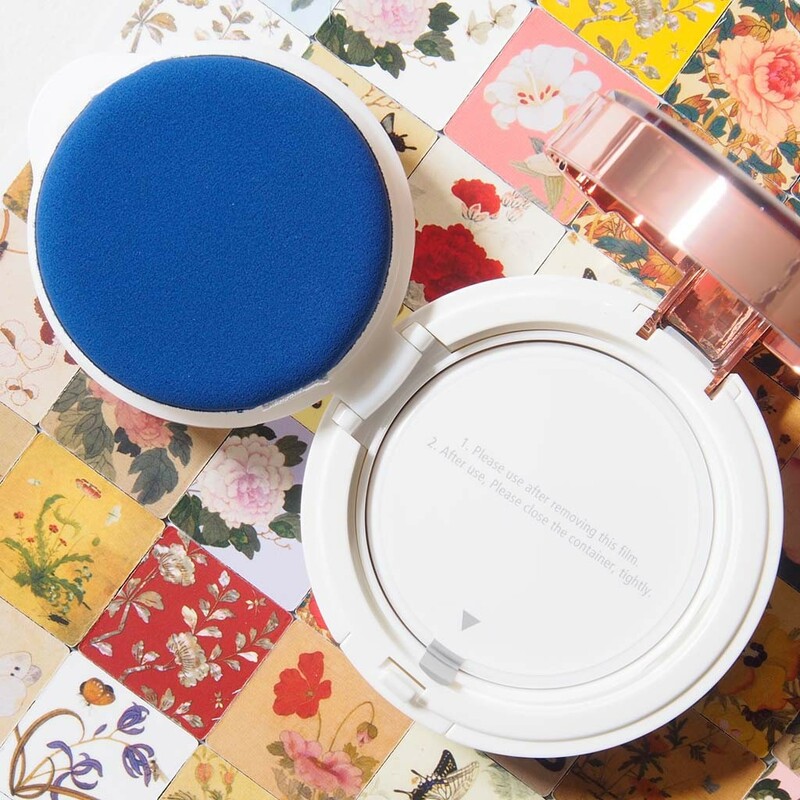 Also, highly elastic cushion powder holds up the makeup barrier that can easily be collapsed by sweat and sebum for long-lasting makeup even with one layer. 04. Refreshing and Cooling Sensation | 34% or greater moisture and optimal mineral water content forms Hydro-mineral Suspension so that micro emulsion works on every layer of the skin for moisturization and hydration to easily cool overheated skin. 05. Natural and Clean Skin Tone | The spherical powder with similar refraction rate as the skin controls oil absorption and light diffusion to prevent excess shine and creates a natural and clean skin tone with medium coverage. 01. 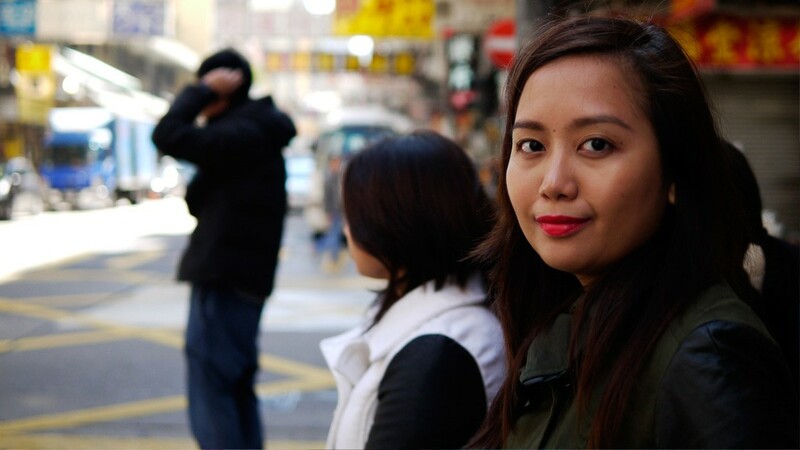 Bright and Clear Whitening Care | Now I don’t know about the whitening effect as I haven’t noticed any difference but I do feel like my skin is brighter these days. Or maybe its just the skincare routine I’ve been following for a few months now. 02. Strong Sunscreen Effect | I have no way to measure this but I trust the brand and I do hope that when they say SPF 50+, it really is SPF 50+. I have been wearing this everywhere, practically everyday with some sun exposure. 03. Long-lasting Makeup | I agree with this. 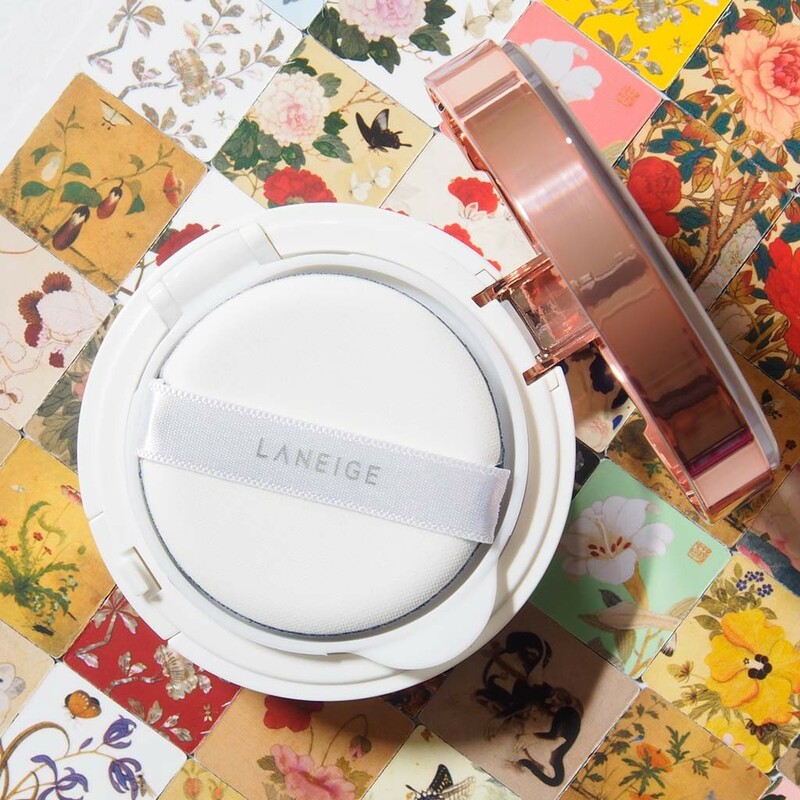 I pat on the Laneige BB Cushion in the morning and that’s about it. I don’t reapply and only use blotting sheets or pressed powder when needed. 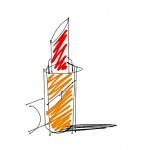 I find that I get a bit of an oily sheen when exposed to heat or after 4-5 hours I think. Note though that I don’t have oily skin to begin with. 04. Refreshing and Cooling Sensation | I don’t really notice the refreshing and cooling sensation but I do love how it feels on my skin. I still need to use moisturizer before patting on the BB Cushion though as I normally have dry skin. 05. Natural and Clean Skin Tone | Can I just say how I’ve been loving the finish of the BB Cushion? It looks natural with enough coverage that sometimes I don’t wear concealer anymore. 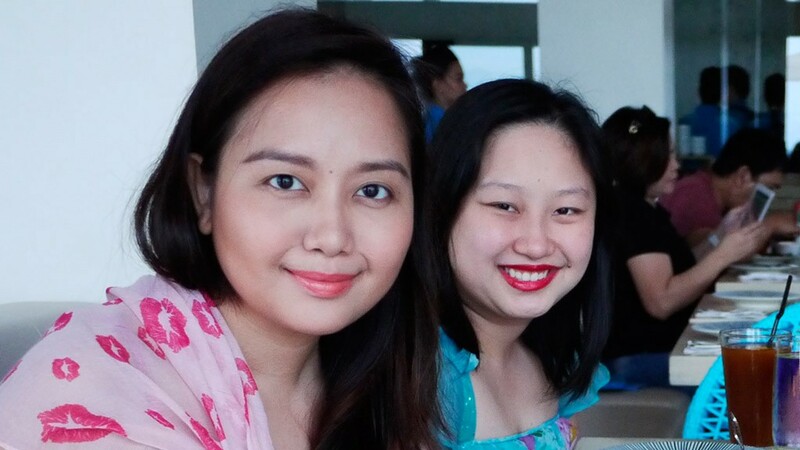 Except for those days when my eyebags are extra dark and puffy from late blogging/working nights such as this one. My shade as advised by the SA is 23 Sand Beige and I felt at the time that it really suited my skin tone. However, as the weeks went on and I kept on exposing myself to the sun, I probably have to give the next shade which is 31 Brown Beige a try just to see if it will be a better match especially since summer is nearing. The cushion picks up enough product to cover half my face so I usually apply with one cushion press for half, another cushion press for the other half, another cushion press for under eyes as they need extra attention, and another cushion press for the neck. In case the cushion press did not yield the usual amount, I have to reapply on some areas. I got mine from the Laneige boutique in SM Megamall for PhP 1,950.00. It is also available online at Luxola for PhP 1,928.50. 1. Apply onto puff and smooth along the texture of skin. Then, pat to increase adherence. Apply another layer to improve coverage. 2. If there is no more content after you press the cushion with your finger, it means that the product is finished. Replace with a refill. I usually wear it on its own or with concealer and setting powder over the concealer only. I blot with a blotting paper or pressed powder as needed. I wore it everyday during our Baler trip for the Lifestyle Network All Girl Getaway which I hope to blog about soon..
And it was also the only base I brought with me to our Hong Kong trip..
And it’s basically my go-to base now except for when I’m trying out new products or using my other foundations for when I feel like having a bit more coverage. 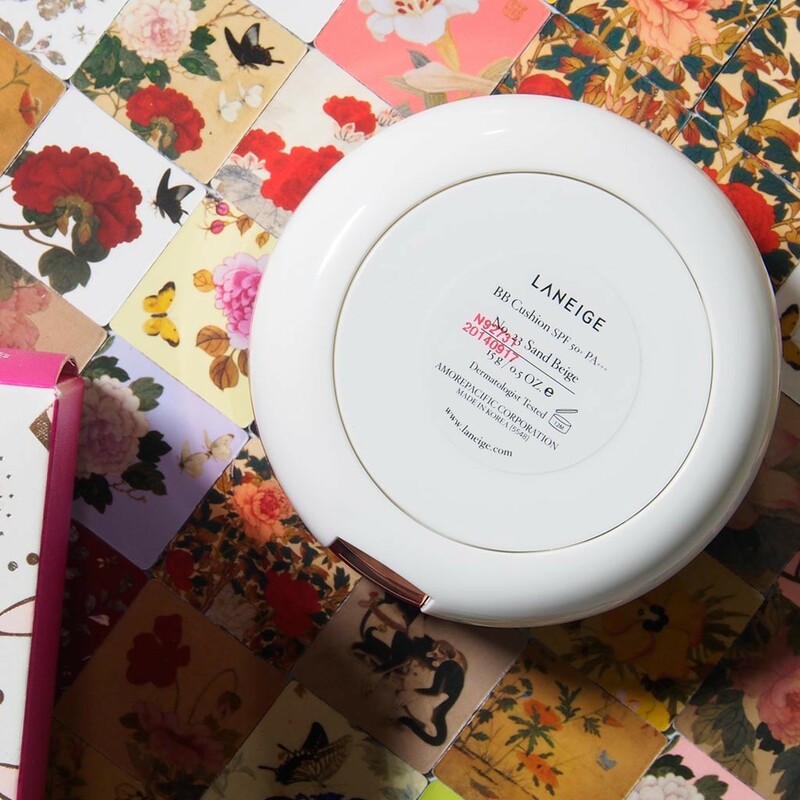 Overall, I give the Laneige BB Cushion SPF 50+ PA+++ in the Sparkling Party Limited Edition Rose Gold Packaging a rating of 5/5 = one lipstick per section (packaging, promise, product, price, and performance). I’m pretty happy with it and would most probably repurchase once I run out of it (and the other refill). I would also probably go for another compact when the time comes so I have a spare one even though you can buy refills separately as the SA told me. I can’t remember how much the difference would be when buying a new compact with one cushion loaded and an extra refill as compared to buying two separate refills but I vaguely remember the amount to be relatively minimal. Were you able to compare with the CC Cushion? I love the Laneige CC Cushion but have never had the chance to look at it side-by-side with the BB. I’ve only used the Chanel CC cream but I find Western alphabet creams vastly different from Asian ones.